Senator Sherrod Brown recently wrote to the Cincinnati Enquirer about the nomination of Judge Merrick Garland to the Supreme Court. His letter demonstrates either a fundamental misreading of the Constitution or the purposeful distribution of misinformation – neither of which reflects well upon a U.S. Senator. Sen. Brown likens the decision not to hold a hearing for Judge Garland to a fry-cook deciding to serve raw eggs to customers rather than the fully-cooked omelets promised on the menu. 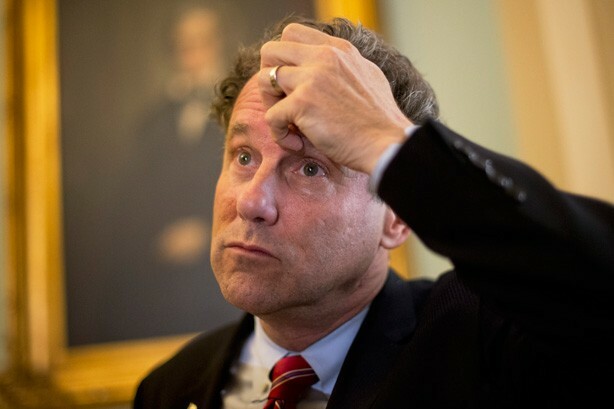 However, Sen. Brown leaves out the fact that diner cooks do not get to cook whatever kind of omelet they desire, but are given recipes which they are expected to follow. When preparing an omelet, the recipe tells a cook how many eggs to use, what other ingredients to include, and even how long it should be cooked. The Constitution provides no such recipe for the Senate to follow when it comes to considering a Supreme Court nomination. Unfortunately, the Enquirer too is putting out misinformation on the issue. The editorial board spoke on the issue saying “the Senate is constitutionally bound to hold hearings on [President Obama’s] nominee.” I challenge the Enquirer’s editorial board to point me to the language in the Constitution mandating confirmation hearings. Of course, I’ll be waiting for a while since no such language exists. What the Constitution does say on the issue can be found in Article II, Section 2. It states that the president “shall” nominate Supreme Court Justices, and that only with the advice and consent of the Senate shall those nominees be appointed. In fact, the only action which the Constitution requires is that the president seek the Senate’s advisement and consent. There is no language which purports to instruct the Senate as to how it must go about providing that advisement and consent (or lack thereof). While it is true that the Senate often holds hearing as a part of this process, the Constitution most certainly does not require it. If Senate leadership decides that the best way to express their opinion is through inaction, then that is their Constitutional prerogative. Happily, Sen. Brown, other national Democrats, and the Enquirer’s editorial board need not take my word for it – they can turn to the Supreme Court itself for clarification. The Court held in Nixon v. United States 506 U.S. 224 (1993) that the Constitution’s grant of power to the Senate to hold impeachment trials “lacks sufficient precision to afford any judicially manageable standard of review of the Senate’s actions.” In light of this lack of standards, the Court determined it was up to the Senate alone to decide how it goes about fulfilling this Constitutional duty. In this instance, the Constitution again grants the Senate sole responsibility for providing advisement and consent (or lack thereof) to the president regarding his nominations, but is silent as to process. Therefore, the Senate may, in full accordance with the Constitution, choose to express its opinion through inaction. Whether or not the Senate’s current course of action is the most preferable is a question that should certainly be discussed. I happen to agree with Leader McConnell, Senator Portman, and other Senate Republicans that confirmation of a new Supreme Court justice should wait until after the general election, but there is room for healthy debate on this issue and both sides have convincing arguments. There is, however, no room to simply claim that the Senate is not doing its job or that it is somehow neglecting its constitutional duty. Such claims take this argument outside the realm of what should happen and into the realm of what must happen, and the Constitution does not tell the Senate how it must proceed. The Senate may fulfill its role in any way it sees fit because, after all, there is more than one way to cook an omelet.